Rio Salado College | RioNews: Can You Pass the New AZ Civics Test? 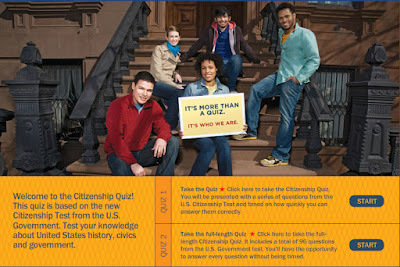 Can You Pass the New AZ Civics Test? 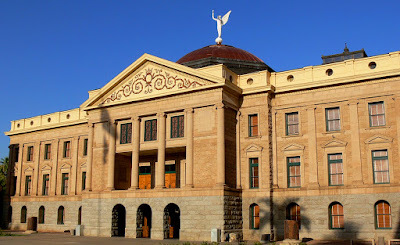 The American Civics Act (Arizona House Bill 2064), which was signed by Governor Doug Ducey in February, requires high school students to pass a citizenship test. The class of 2017 will be the first group of students required to prove subject matter proficiency in American history and government before they can graduate. Here's a link to a similar test, courtesy of the History Channel. Test your knowledge about U.S. history, civics and government as we celebrate Constitution Week at Rio Salado-- and share this resource with Valley teens to help them prepare for the test! Check out this related East Valley Tribune story about a group of Kyrene eighth-graders who chose to put their knowledge to the test in commemoration of Constitution Day, Sept. 17.